This is more for the looks than for any practical reason. 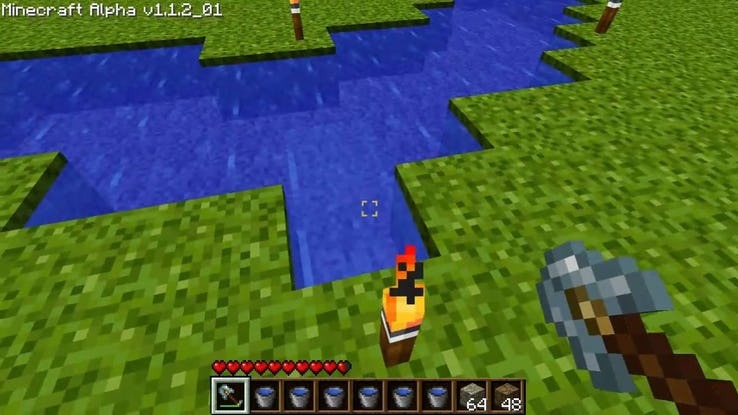 But you can actually place a torch on top of a crafting table or furnace. Why you would do this isn't important. It's about the fact that you can. 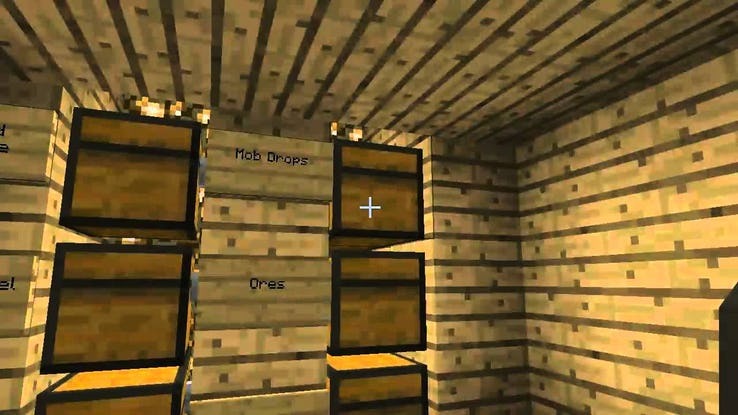 To do this, put a “transparent block” behind the crafting table. This can be something like a block of glass. Now, while facing the crafting table, try to reach out and put a torch on the glass. You should now have a torch on top of the table. You may not even consider this due to the impossibility of what we're doing. 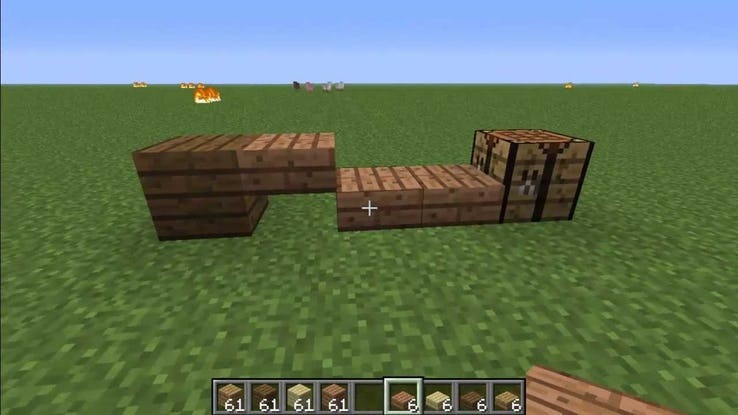 But Minecraft is all about breaking the laws of physics. And you can do that by placing a block right next to a torch. It's possible to stack signs on top of each other. You can do this to create the illusion of a really big sign that is actually comprised of smaller pieces. It's perfect if you have a long message to write or something like that. The best use for this mechanic is when you're making an adventure map. You can stack signs to create a literal wall of text full of instructions and details about the adventure. Stacking signs is a small detail that could easily be missed. Usually, you don't want too many wooden items around the house. Especially if you have any structures that use fire. A single spark can cause a huge accident. There's no worse feeling than watching your hard work be burned to the ground. Which is why you should use wooden slabs instead. These pieces don't actually burn. You can get the benefit of that wooden texture without any of the risks of burning. It's the safest way to implement wood into your structure. 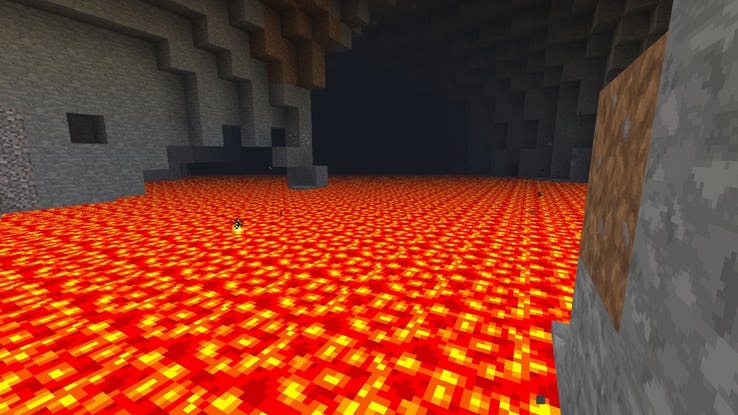 If you find lava anywhere, be sure to keep it marked. As soon as you get some buckets, go and collect as much lava as possible. Lava is an excellent fuel to use in the furnace. It lasts a long time so you can smelt as much as you want. Lava is also one of the ingredients in creating obsidian, a rare block. With a bonus use like that, there's no reason not to carry lava. Get as many buckets of this as possible and become an efficient adventurer. The best Y-coordinate for diamonds is eleven. You can check your coordinates by pressing F3. The Y-coordinate shows how far down you've mined. You can find diamond anywhere after Y-16, but eleven is the best. You also wouldn't want to go lower that. If you do, the chances of running into lava will be higher. 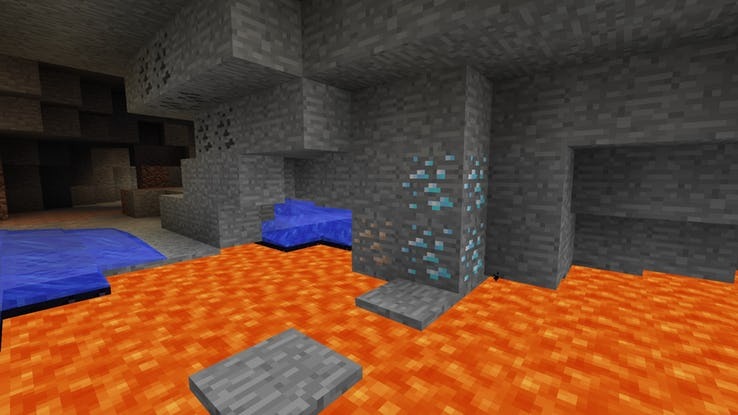 There's no point in finding diamond ore if you're just going to lose it all to lava. This molten liquid can be useful, but not when it's trying to drown you. 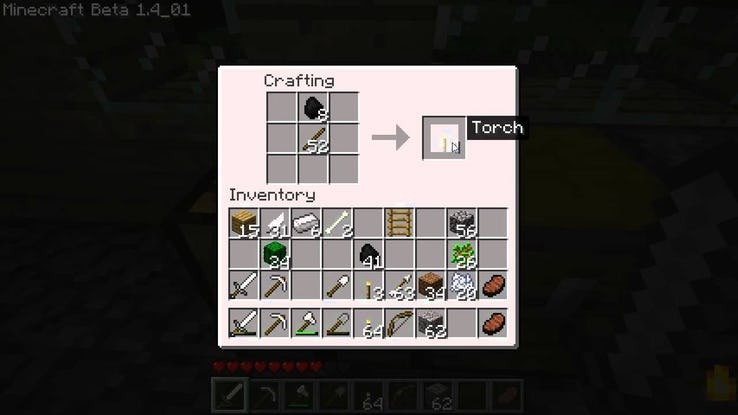 Torches are probably some of the most versatile items in all of Minecraft. They do the obvious things like lighting up dark areas and keeping monsters away. However, they have some other useful abilities. Zombies can break down your door and invade your precious house. Thankfully, there are some ways of preventing the zombies from ruining your day and destroying your property. One option is to have a door set up one block higher. That way the zombies cannot reach it. Your other choice is to use a fence instead. They can't break the fences down and it also allows you to fight back without any risk. The Mushroom Biome is the only biome where hostile mobs do not spawn at night. 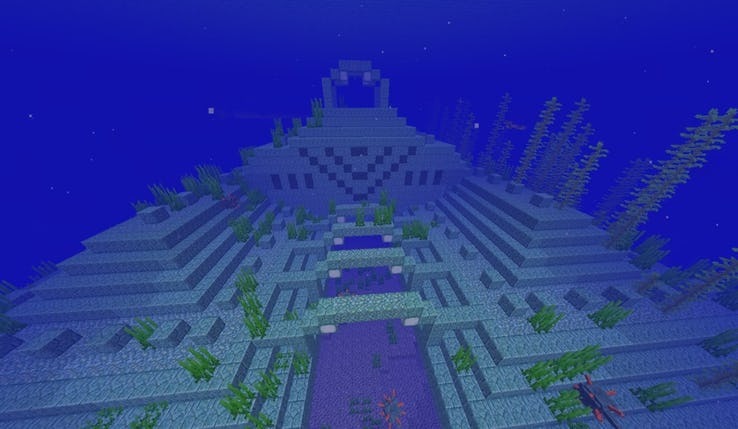 This makes it the safest place in Minecraft and the best place to build a home. There are also no mobs in the cave systems, allowing for safer mining. However, be aware that mob spawners will still work. So, if you do see any zombies or spiders, then you know there's a spawner nearby. Overall, the Mushroom Biome is a good place for a base. Wearing a pumpkin is more about just making you look awesome. Yet, it has other benefits which can help you fight a powerful foe. 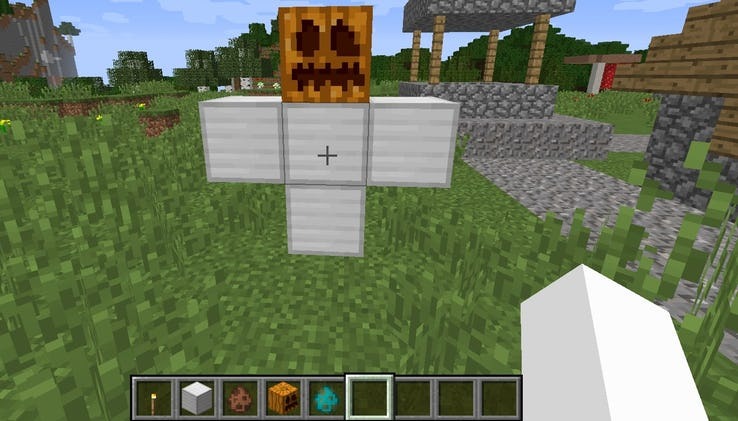 If you wear a Pumpkin, then Endermen will not attack you. Even if you attack them. Endermen only attack those who make eye contact with them. However, the Pumpkin prevents you from making eye contact. So, they stick to their mantra and refuse to fight back. Such honorable foes. It's a good idea to get some extra help to protect your house. There are two options. The first is an Iron Golem. You summon it by making the formation shown in the image. They are very powerful and also quite durable. The other guardian would be a snow golem. Stack two snow blocks and put a pumpkin on top to summon it. However, it needs to be in a suitable biome (like the snow) otherwise it will melt. 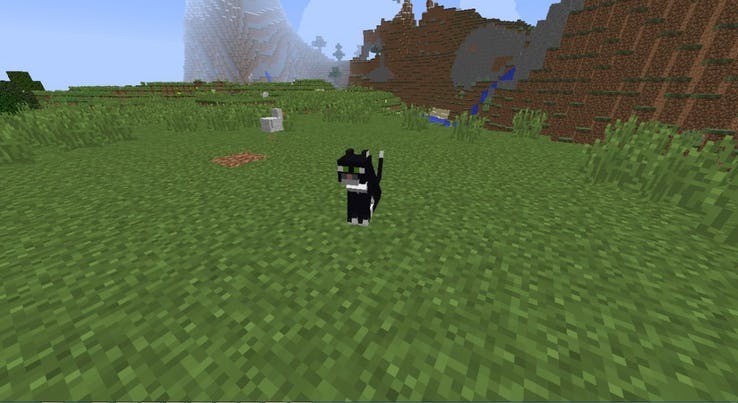 Cats are a cool addition to Minecraft and make for nice pets. However, it's more than just having a cat as a pet. They also serve an important function. Creepers are very scared of cats. If you have enough cats around your house, then Creepers will avoid you at all costs. It's the best way to ensure that you won't run into any explosive surprises when doing some farming. Once again, torches have come to the rescue. Whenever you go on a trip underwater, be sure to take a bunch of torches with you. They can help you breathe underwater for a longer period of time. 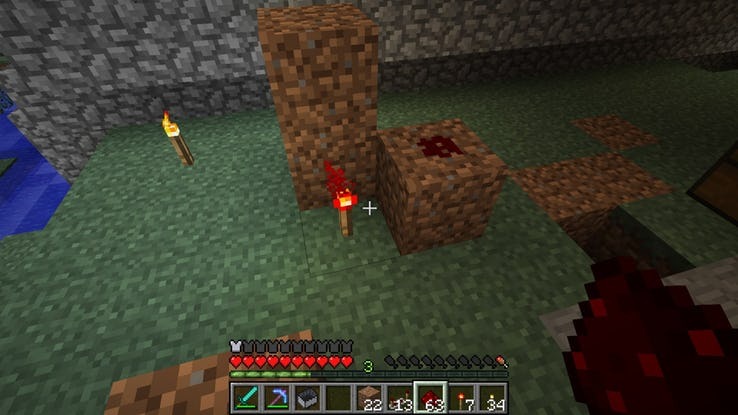 By placing a torch on a block, it creates an air bubble for a short time. You have to be next to the block for this to work. But it's enough to ensure that you can get some extra breath in an emergency. 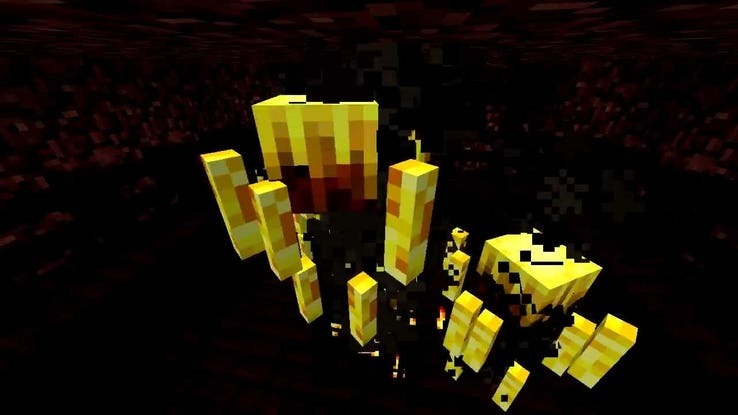 The Blaze is a powerful mob in the Nether. They can be a tough enemy to beat through conventional methods. Their fire blasts can also knock you into the lava, eliminating you instantly. The Blaze mob is weak to snowballs. So you should take as many of them as possible. Using snowballs from afar is a safer way to defeat the Blaze. It's not the most efficient, but it will ensure your safety. This is the ideal construction to have near a farm. You won't have to carry a lot of water buckets or build near a water source to make this work. It's also extremely simple to build and you don't need anything special. You need two buckets of water to start. Make a 2-by-2 square in the ground. It should be one block deep. Then pour one bucket in the top left corner of the square and let the water spill. 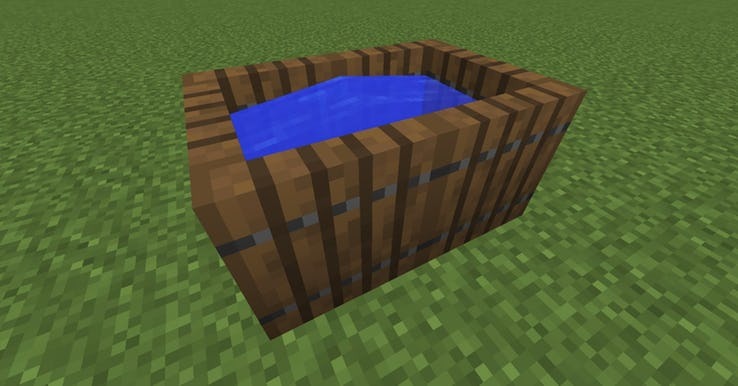 Finally, pour the other bucket in the bottom right corner and you have your water source. Gold does have its uses, but making tools out of it is not a good idea. They are even less durable than wooden items. In fact, the tools will only last a few uses before breaking. You are better off saving those previous golden materials for crafting Golden Apples. They are extremely useful healing items that can save you in a bind. Whatever you decide to do, don't waste gold on weapons and tools. Water buckets can save your life in many situations, especially in mining. You can use it to counter random bursts of lava. You could also use it to climb down steep inclines and get to lower ground. You could even use the water to help you get away from some monsters. 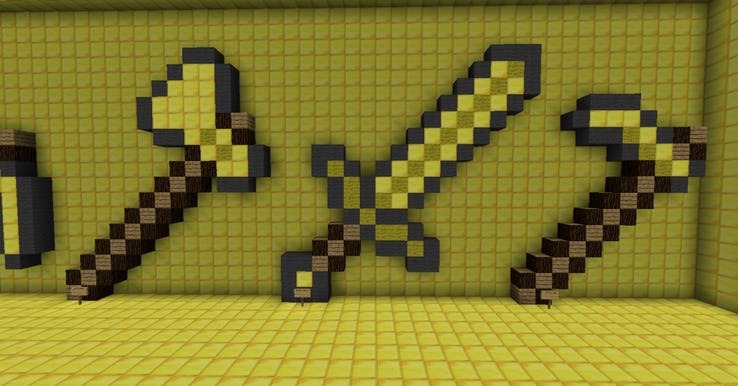 Use it to create some distance between you and the mobs. Just remember to make sure that you have a few extra buckets of water when going into the mines. Bonemeal is pretty simple to make from skeleton bones. Its main use is to quicken the growth of plants and trees. 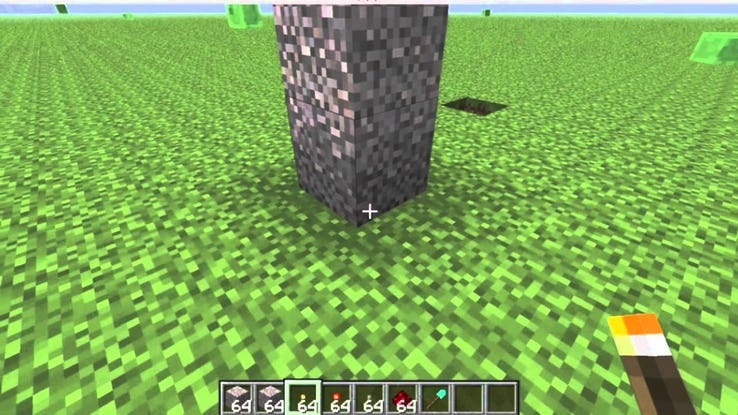 This is very useful when you're trying to build a farm or grow some trees for wood. It's fairly easy to find because you get them from skeletons. 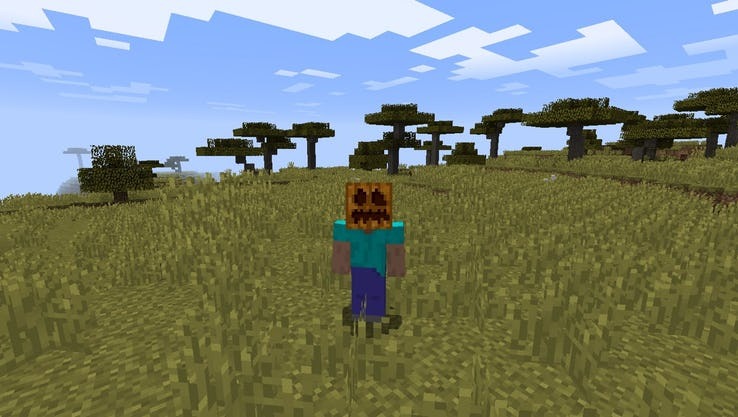 These are common mobs at night time and aren't hard to fight. Bonemeal is an excellent tool for the farmers at heart. When you start your new adventure, you may not immediately find some coal. Thankfully, there is an alternative, since coal is a vital resource. That alternative is charcoal. And it's made from wood. You can use wood as a fire source in the furnace. By smelting some more wood, you can make charcoal. This has the same properties as coal and acts as a great replacement early in the game. That way you can focus on building a house before going into the mines. Enemy spawners can be extremely frustrating. They keep spawning enemies into the vicinity until you get tired or are defeated. Unless of course, you are able to destroy them. But before that, there is another step. 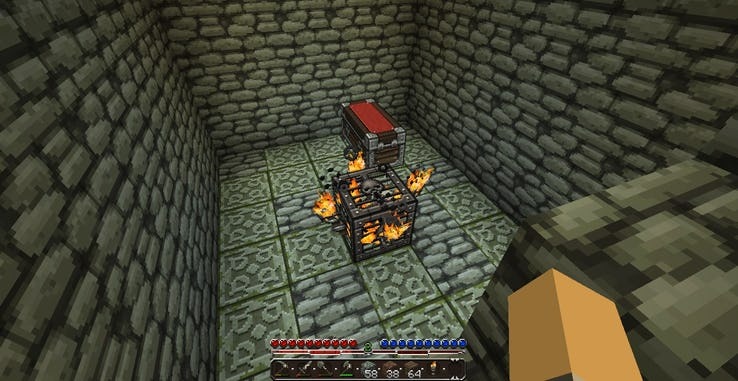 Just place torches all around the spawner. This is a better idea than destroying it. Torches will prevent enemies from spawning. Also, if you need to farm a certain type of enemy, you can just remove the torches to let them spawn. Beds are useful in the regular dimension. They create a checkpoint in case you perish during your adventure. It's a staple of every house and everyone will want to have one. Except if you're in the Nether. Sleeping in the Nether causes you to explode. Probably not a good idea if you're looking to get stuff done in the Nether. Just remember this one little detail before you set out to fight Blazes and Zombie Pigmen. Crouching is a useful way to expand your movement options. By crouching, you can actually walk a little bit off the edge of a block. This is ideal when you're building a bridge-like structure. Be careful you don't let go of the crouch button. If you do, then your character will fall. So, if you plan to try this trick high in the air, then make sure you hold onto that crouch button. 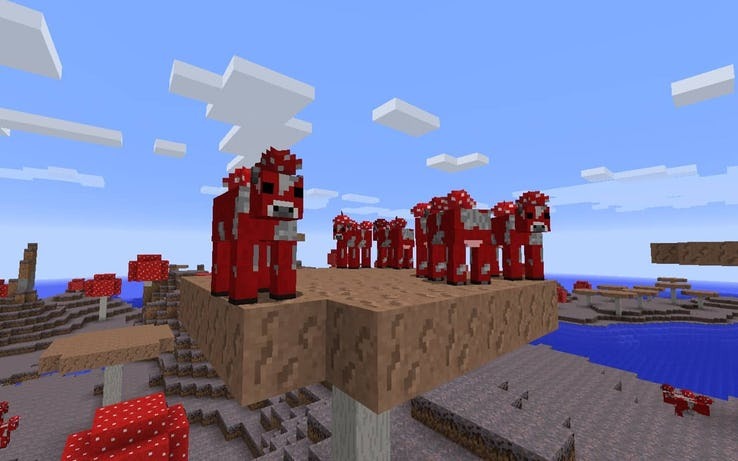 Mooshrooms are a special type of cow that are exclusive to the Mushroom Biome. They are similar to regular cows and you can even milk them. Except you won't get what you expected. Instead of milk, you get mushroom stew. This is actually very useful as the stew can restore some of your hunger bar. 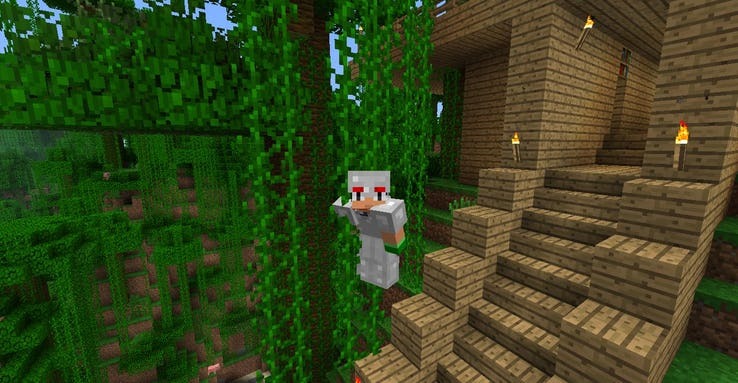 If you find yourself in a Mushroom Biome, then you should definitely gather as many Mooshrooms as possible. It's a good idea to tame a group (read: army) of dogs to hunt with. They are great in combat and can help turn the tide in your favor. But you may want to give them all different names and differentiate them further. You can easily do that by changing the color of their collar. Simply get a dye for the color you want and right click on the dog. That's it. 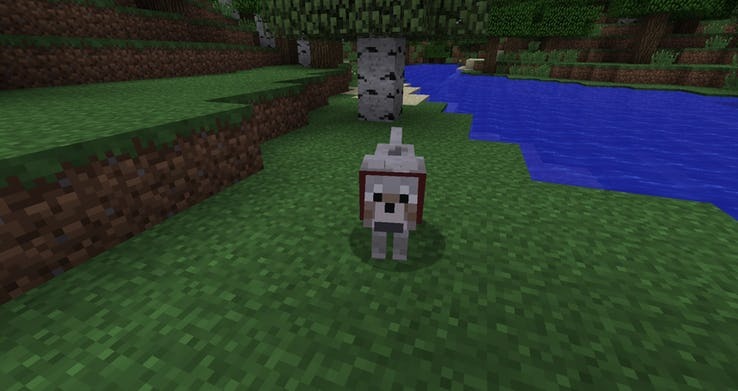 You now have a customized dog collar in Minecraft. 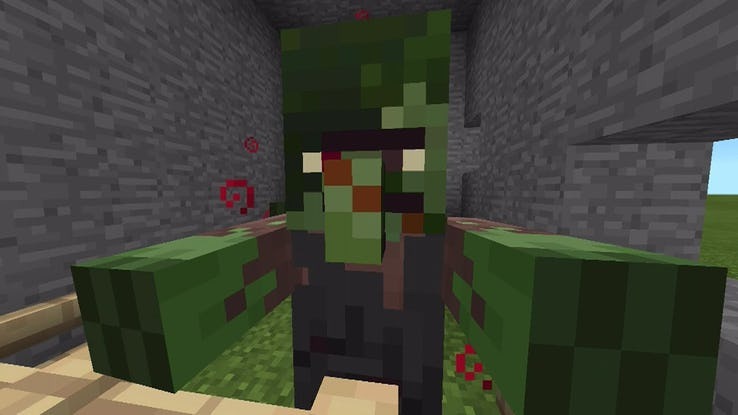 Zombie Villagers are a recent addition to Minecraft. Essentially, the villagers get hit with a disease that turns them into zombies. However, you can cure them and activate their trading post. First, you have to inflict the Weakness status on the Zombie which you can do with a potion. After that, you give it a Golden Apple. After around 2-5 minutes of waiting, the Zombie Villager should now be cured.